This week I had a chance to play with the new Sony camera line-up (including A65, A77, NEX-5N and NEX-7). Here I wanted to share some of my impressions about NEX-5N and NEX-7. Let's start with the NEX-5N. Cosmetically, the new camera is nearly indistinguishable from the old NEX-5, but it's construction is actually more solid (the top deck is now the whole with the rest of the camera body). But internally, it's very different. It has the same excellent 16MP sensor as NEX-C3. AF speed is improved - focusing is now faster and more reliable. This is very noticeable both with the kit zoom and with the new Sony E 50mm f/1.8 OSS lens. Battery life also seems to be improved, but I can't really tell because I didn't have the time necessary to fully discharge the battery. You can see some samples shots in my thread about Sony E 50mm f/1.8 OSS lens. NEX-7 was only available in the preproduction form and I was not allowed to take any pictures with it. Nevertheless, I was very impressed with the camera and I think this is going to be the best mirrorless camera on the market. I also think it will be unmatched for quite some time because other camera makers don't have all the technologies necessary to create a camera this advanced. The metal body is just the perfect size and shape. The camera feels extremely sturdy and it handles ridiculously well. Because the viewfinder is located on the left side of the body, your nose won't be constantly pressed into the LCD screen. The 2.4MP OLED viewfinder is stunning. It's very smooth and detailed and it's the same size as the A900 viewfinder. It's so good it looks just like a good OVF but with all the additional information. - in the P mode, you can change ISO, exposure pair (program shift) and exposure compensation. - white balance, including fine tune options. 1) NEX-5N has a capacitive touchscreen panel. You can perform some actions (for example, change the focus point) with your finger. If you don't want to use touchscreen, you can disable it entirely in the menu. 2) NEX-5N can use Sony's excellent clip-on EVF (FDA-EV1S). It employs the same 2.4MP OLED unit as NEX-7. Unfortunately, the EVF is NOT compatible with NEX-3/5/C3. 3) NEX-5N is able to record 60p FullHD video with full manual control. What about the improved AF speed? Does the NEX-C3 have that? I have the C3, use legacy lenses so not sure what the AF improvement is over my "old" NEX-5. I can say that I just ordered the NEX-7 and will note if there is any difference between it and the C3. I'm sure it will be better. I wonder if these cameras will be the next giveaway here at TALKNEX. This will be awesome! Any chance if you can find out more if on the MF/AF button. I'd like to know if you can configure it, such that, when the camera is in manual focus mode, pressing that button can activate autofocus, and when locked, you can let go of the button, recompose and keep shooting without affecting autofocus. Want to focus again - simply press the button to autofocus or turn the focus wheel. 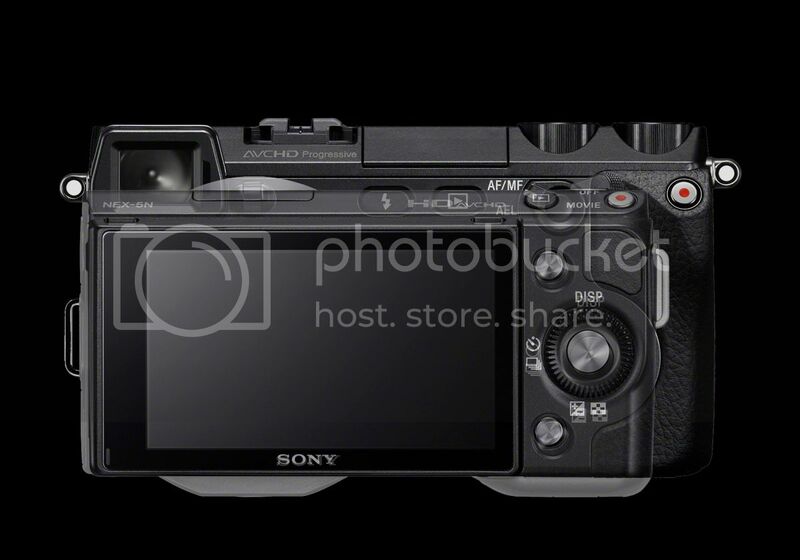 I believe the a77 is able to be configured as such, but no word yet on the nex 7.